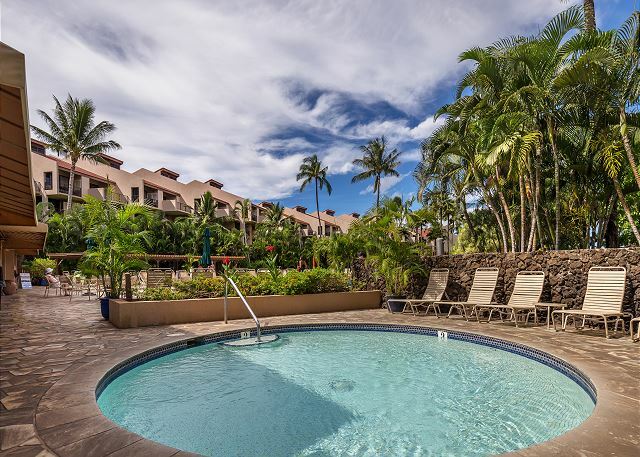 Kamaole Sands is one of the most popular resorts in South Maui as it offers its guests a large pool area, a children's wading pool, 2 hot tubs, an exercise room, table tennis, foosball, and tennis courts. 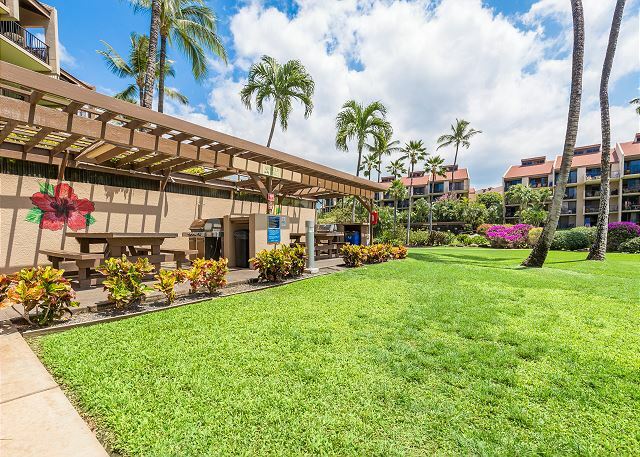 As a guest of Kamaole Sands you can pick up a free Maui News each day, as well as enjoy live music and Mai Tai's by the pool each Wednesday from 3-5 PM. We absolutely loved this condo! From the ninja blender (which we used every morning) to the Rubbermaid containers and comfortable beds - we had it all. Our daughter has severe dietary restrictions and so the stocked kitchen made cooking for her a breeze. We were close to a wonderful beach and enjoyed the pool as well. The quiet time between 10:00 PM and 8:00 AM was much appreciated. The beach towels, chairs, umbrella, cooler, and snorkel gear were in great condition. Matt from PMI was extremely helpful and we would definitely recommend this spot to anyone with a family. 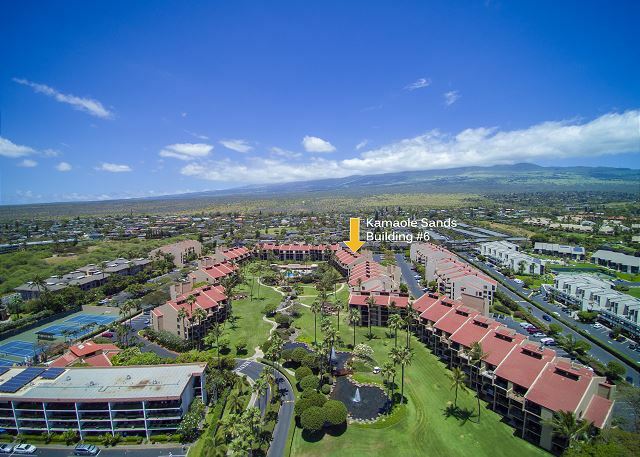 Kamaole Sands 6-409 is a great unit. 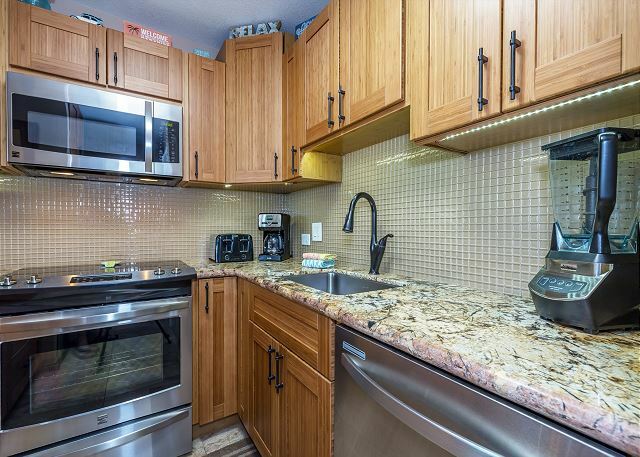 The unit was very clean, it was updated, and tastefully decorated. The condo was stocked with everything you could need. The beds were very comfortable. The condo had a great view of the resort grounds and pool. 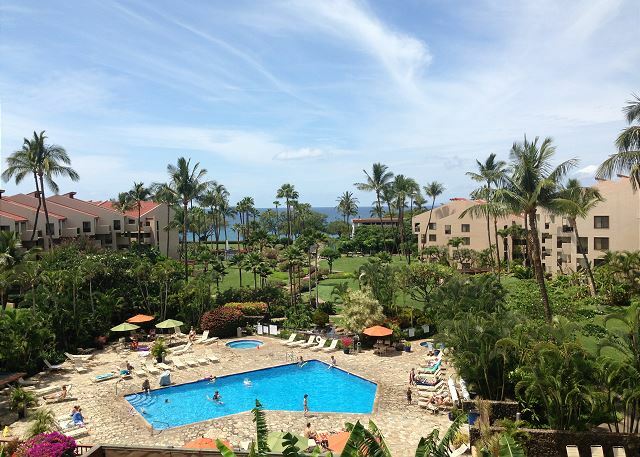 This is our 3rd stay at Kamaole sands and our 2nd with PMI. Matt and Tonya are very professional and are always available when you need them. I highly recommend Kamaole Sands 6409 and PMI Maui. Clean. Spacious. Modern appliances. Well decorated. Good value. This condo was absolutely gorgeous. So many amenities. The lanai was oversized and had a great view of the ocean, pool and gardens. Completely stocked with beach chairs, cooler, boogie boards etc. Kitchen is beautiful as well as the furnishings. The property manager Matt was so helpful and there when you needed him. The property was clean and staff so friendly. Beautiful grounds with BBQ’s, walking paths, activities, and even an Orchid wall on the way to the pool. 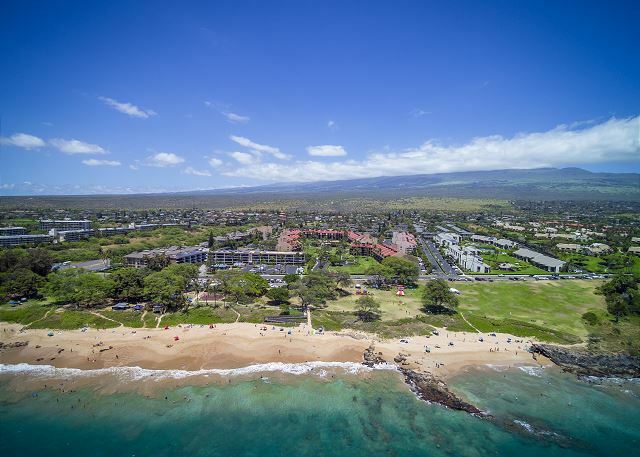 Just a short walk across the street to one of the best beaches in Maui. Snorkeling at this beache we swam with turtles that came into shallow water to visit! We walked to local restaurants and shopping. Great trails along the beach. Water activities at the boat ramp we walked to. There’s just so much to do in Keihei. I can’t wait to go back!!! The room itself was beautiful and nicely upgraded. The air conditioning worked well and everyone slept soundly. The view from the lanai is of the pool which is great if you have kids over 12 but still want to keep an eye on them. The kitchen had all of the supplies required. Great vacation home away from home!! 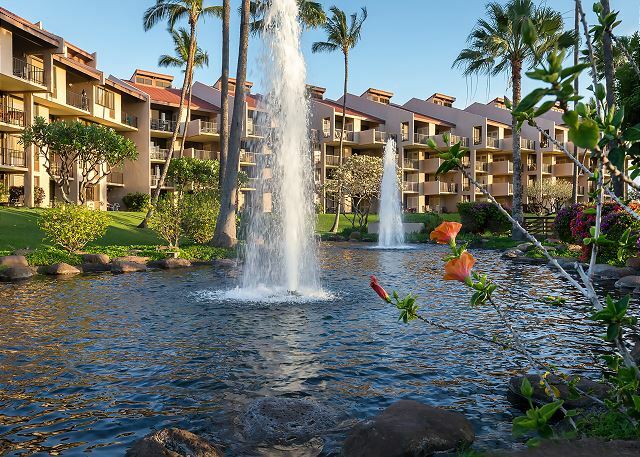 We had stayed at Kamaole Sands 3 years ago in bldg 5 and were happy with our accommodations then but this unit exceeded those expectations by far! The unit has everything you would need and more. All the beach gear including chairs, toys, coolers, snorkel gear, boogie boards, even tennis racquets! Short walk across the road to one of the most beautiful beaches on Maui for picture perfect sunsets every evening. The condo has views of Mt. Haleakala out the front and beautiful gardens off the lanai right over the pool with bbq areas just below. 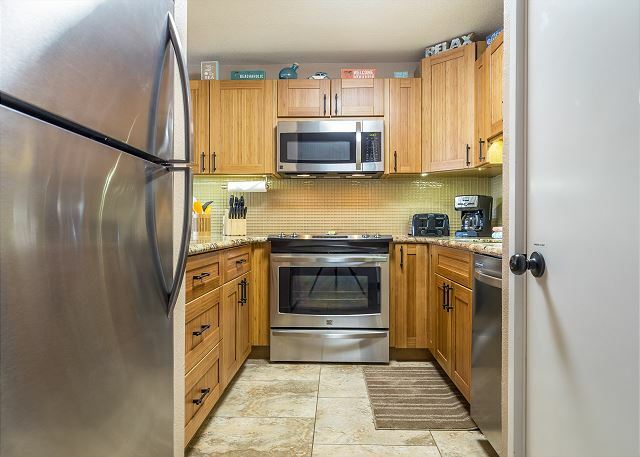 The condo is beautifully furnished and the beds are so comfortable, kitchen is fully stocked including condiments and grocery and general stores are close by. Fred’s restaurant was great for a quick bite coming in off the beach as well as 808 deli and the best sandwiches on Maui! Kihei Cafe was great for breakfast and Cafe O Lei was excellent for sit down lunch or dinner! Foodland groceries was just down the street and cheaper than Safeway! 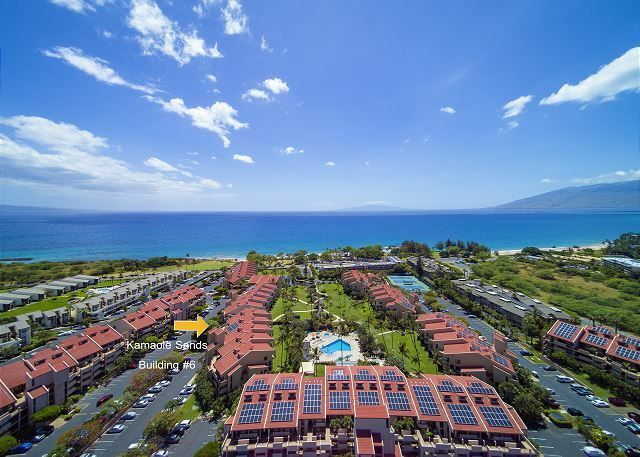 Lahaina is a short drive to the west side and Ma’alaea harbor is directly behind Maui Ocean Centre where you can catch the Calypso catamaran and go snorkeling out to Molokini crater. We had a great stay and were sad to leave! 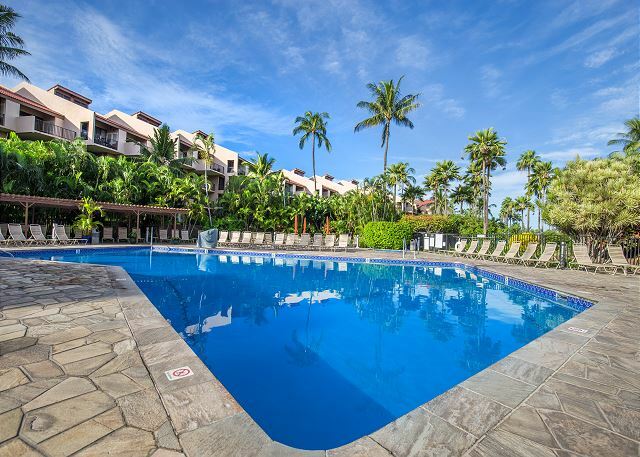 The owners and PMI collectively have made this condo one of the best in the resort! Looking forward to our next visit! Mahalo! This was a beautiful condo with close access to the beach and shopping for groceries if you have some meals in as we did. It's an easy drive from the airport. The grounds are very well kept and the pool was not crowded. The word “wow” was used a lot as we walked through the condo for the first time. Location to the beach was incredible, turtles galore and the kids were busy the whole time. The fact that the condo supplied all the beach gear including snorkels made it seem even better value for money. Would definitely stay again.